I love reading books when the author feels like a friend. I make a cup of apricot vanilla cream tea in my favorite mug, grab a comfy sweater, and just listen as they share their heart. These kinds of books always have the greatest impact on me. Cold Tangerines is a sweet little book about stopping where you are and looking around your life long enough to see all sorts of reasons to celebrate. Shauna Niequest is a beautifully gifted writer. Her words are kind and gentle and she invites instead of pushing. This book is filled with short stories that include all of life’s biggest events amongst all of the small things that get overlooked. The things that make it all worth living. Like the people who are alongside us in the hard moments, and the growth that comes from loss. The things that call out to us to be enjoyed and celebrated. Gifts from God and this life he has given us. 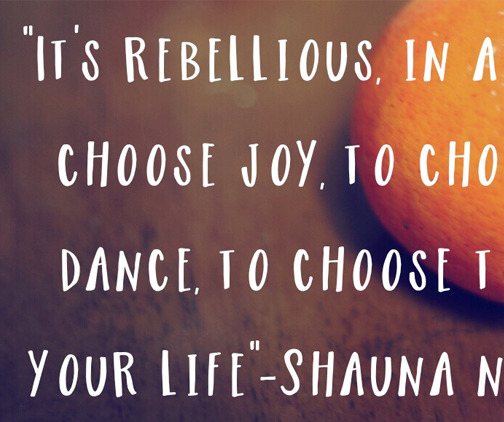 In the last chapter, Shauna can hardly contain her passion as she writes about how as we begin to celebrate life, we are reconnected to what we love most about it. How being in tune with the story underneath the hard and the mundane, changes everything. Tasting and seeing that what God has made is good. How he invites us to see that every day. Daring to believe that right now is good. Today is good. This book encourages to me look around and embrace what is. To not spend any more time being unhappy with how things have turned out but to take a second look, and dare to see more. Life isn’t always as long as we want it to be, people fail us, things don’t work out the way we planned, and that’s why seeing “ Celebrating the extraordinary nature of everyday life” on a book cover intrigues me and causes me to roll my eyes all at the same time,… at first. But as Shauna tells her stories and identifies the beauty in all of it, I feel comforted. I feel inspired to see my life through a different lens and live differently because of it. I hope you do pickup this book and I hope you take the time to look around your own life and be rebellious enough to Celebrate. Thelesia, you are an amazing writer. Thank you for blessing me with your words. Yes, I do get caught up and forget to look around. Thanks for the reminder. Wow! Thank you Mary Ellen! That means a lot! I’m glad you enjoyed it. I Love Shauna’s books too. How she is so real and open and sincere. I love your writing! Thank you Andrea! She has a new one coming out soon! I’m so excited!